LAS VEGAS, NV (THE WIRE PRESS) – Today at the Consumer Electronics Show (CES), LuMee LLC, makers of the original and patented LED lighting mobile phone case called the LuMee Case®, announced they have formed an official partnership with Kim Kardashian West, a company advisor and longtime devotee of the LuMee case. LuMee is a fast-growing consumer electronics accessories and lighting company with offices in Boonton, New Jersey and Holladay, Utah. Its flagship product, the LuMee Case® is the Original and PATENTED front facing LED lit smartphone protective case that debuted in 2014, to help create the perfect smartphone picture lighting. 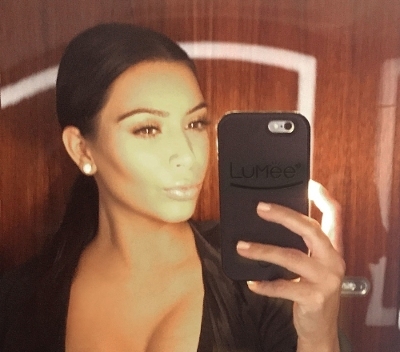 The LuMee Case is gaining popularity among celebrities and trendsetters. The unique case was recently chosen by Oprah Winfrey as one of her ‘Favorite things of 2015’ and has been included in many 2015 Gift Guides from Cosmopolitan and Teen Vogue to the TODAY Show. LuMee was also recently featured on CNN, CNBC and in InStyle Magazine. The case idea came from Allan Shoemake, a professional photographer, who has taken pictures of many living presidents and celebrities, to improve lighting. LuMee is dedicated to producing and distributing unique and high quality consumer products that enhance the way we live. LuMee Cases range from $49.95 to $59.95 and are available in many colors. To order or for more information visit LuMee.com.